NRC to hold supplemental hearing for Crow Butte Uranium Recovery Facility. 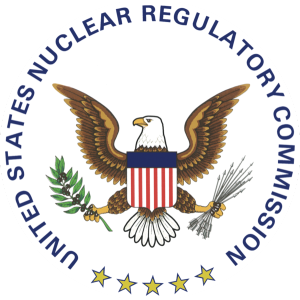 The U.S. Nuclear Regulatory Commission (NRC) announced on Friday that there will be a supplemental hearing regarding challenges made to the renewal of the operating license of the Crow Butte Uranium Recovery Facility. The hearing will be taking place on Oct. 23 in Rockville, Maryland. The facility’s license was renewed in 2014 and it is slated to expire in November of 2024. The NRC states that this hearing will be focused on groundwater flow and the hydrogeological formations at the site. A previous hearing took place in August and those providing testimony were asked to provide additional testimony and information regarding these topics. The hearing will begin at 10 a.m. ET or 8 a.m. MT at the Atomic Safety Licensing Board hearing room. There will a be a video conference link that will be set up in the Scottsbluff Room within the Student Center of Chardon State College in Nebraska. The web conference room will open at 7:30 a.m. MT. Members of the public are welcome to attend either the live hearing in Maryland or the video conference in Nebraska. Those unable to attend at those locations will also be able to call in for listening purposes at 888-603-7019 with 7856326 as the passcode.